So we have a morphologically different form of Homo (Neandertal) with a different development and evidence of low interbreeding. That's a good species. That's not the case with modern humans, which are genetically very similar, morphologically uniform, and can and do freely interbreed. Modern humans are all one species. 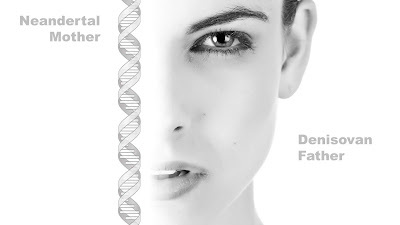 With all the hubbub over that Neandertal/Denisovan hybrid, I thought it was time to examine the question of human species again over at Human Genesis. How many human species are there? [Hint: this new discovery does not change my position.] Check out the full article there. 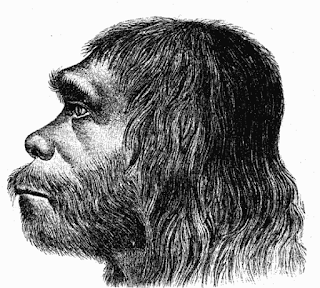 I've written an article on the latest discovery from Denisova Cave on Human Genesis. What do these discoveries mean for our theology? How does this hybrid girl affect the image of God? Honestly, she doesn’t really change anything. We’ve always known that humans were diverse, and these new discoveries have shown us that we’re actually even more diverse than we thought. Check out the full article at Human Genesis. This year, the ICC tried something a little different with three panel discussions added to the mix, all focusing on updating research that was initially presented at past ICCs. The intention was also to focus on areas of uncertainty or disagreement among creationists. I wasn't sure what to think about it, and I still have some reservations. But overall, I thought it went fine. Wednesday was the last day of the conference, and I started out in Andrew Snelling's presentation on radiohalos (that's him in the photo). If you haven't been following his work, Andrew has taken early work on radiohalos and modified it to fit modern Flood models. And in case you have no idea what I'm talking about, radiohalos are microscopic stains found in mica that result from radioactive decay of certain elements. That alone isn't surprising, but the existence of polonium radiohalos is very weird. The different forms of polonium all have a very short half-life, so they decay extremely rapidly. So how could enough polonium build up to leave a stain in the form of a radiohalo? That's the question. Day two at ICC began with a remote presentation from Paul Garner of Biblical Creation Trust, who was in the UK at the time. Paul planned to come to ICC, but due to unexpected circumstances, he was unable to attend (he's OK now if you're wondering). Thanks to the convenience of Skype and the ingenuity of the conference organizers, he gave a talk that was almost as good as having him there in person. That was easily the best remote presentation I've ever experienced at the ICC. My Monday began with three talks that I would have liked to hear, but I couldn't because I was scheduled to give one at the same time. So I'll just have to read about the Precambrian model, the Septuagint chronology, and the long-running Coconino project. Concurrent sessions at ICC are really not ideal when there are so few of us and we all have wide-ranging interests. I know ICC has done it this way for years, but we could easily shorten the sessions, have more talks per day, and still have fewer tracks. Four tracks are too much. Just a thought. Way back in 1999, fresh out of grad school, I organized my first baraminology meeting at Liberty University. It was a private deal, invitation only, but it launched what eventually became an annual event after the 2003 International Conference on Creationism. By my count, I have organized seventeen of these conferences over a twenty year period. We've had ups and downs over that time, but the 2018 conference stands out as a big highlight. 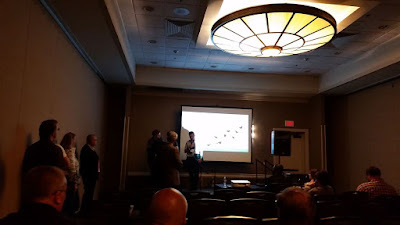 Last week, I attended the International Conference on Creationism and Origins 2018 in Pittsburgh. This was my fourth ICC, and I've had papers at three of the four I've attended (2003, 2013, 2018). I recently wrote about some of my experiences at previous ICCs, and I have to admit that ICC is always kind of a mixed bag of excitement and disappointment. I'm excited to see everyone, but I always wished that the conference could be, well, better. I wish the papers were better and the research was better and the progress was better. In 2018, I felt like I got my wish. This ICC was notably different. Very different. Other people even mentioned it to me. The papers were more substantive. There were lots of young people attending and presenting. Hanging around with students all week, I was energized by their excitement. Not once did I wander into a paper that was genuinely bad, even the ones that I disagreed with. This really was a decent conference. New book The Quest is available! My new book is now available from Core Academy! We sold a bunch at the ICC last week, and the early reviews were very positive. 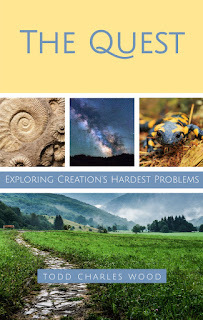 I promise you've never read a creationist book like this one. The Quest is my own memoir about being a creationist in a world dominated by evolutionary thinking. I've you've been reading my blog, you'll recognize themes and ideas that I've expressed here, but with a book I get to develop these thoughts a lot more. I'm told it's readable and accessible even to non-experts. It's definitely about more than just science and faith. It's about my life's journey as a believer. If you like what I've been writing on my blog, you'll probably like The Quest. You can even read the prologue for a sneak preview!